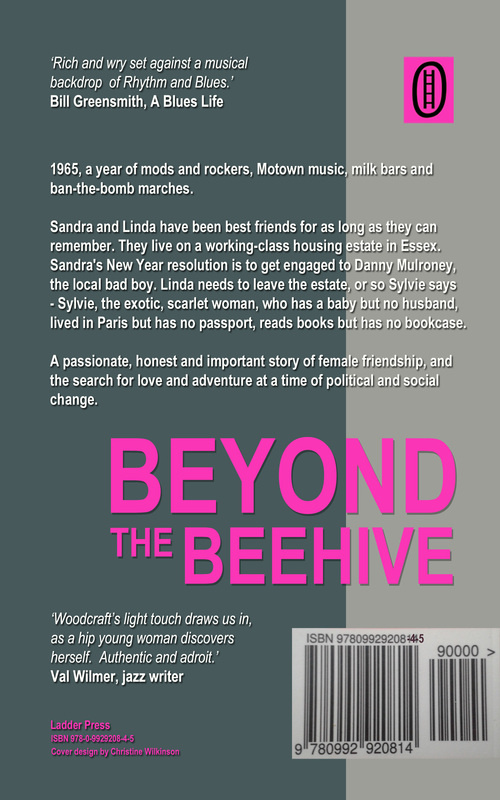 Beyond the Beehive is out! This is almost unbelievable! 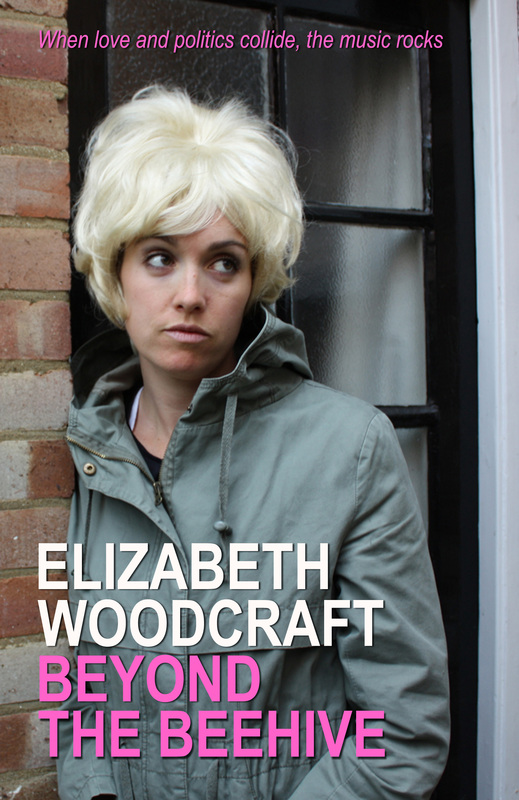 Beyond the Beehive is on sale now. You can buy the paperback here and the Kindle version here. 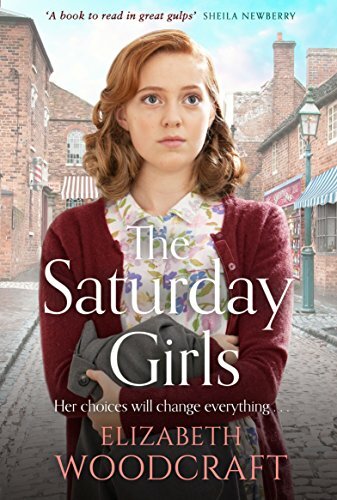 Thank you for the support of the readers and followers of this blog, and to Christine Wilkinson who designed the wonderful cover – back and front! And also thanks to my oldest best friend Chris Wallace – without whom none of these stories would have been possible. As I keep telling her, they are just stories, but if she and I hadn’t met in Chelmsford on the Woodhall Estate, all those years ago, we’d never have gone to the Orpheus together, we’d never have gone dancing at the Corn Exchange, or to Dace’s to buy records or Clarke’s to buy Valentine cards, and the book would never have been written. Lots of things are happening over the next few weeks. The first thing is the Chelmsford Launch. It’s next Saturday, 1 October, 6.30 pm and Mark Shelley and the Deans will be playing! 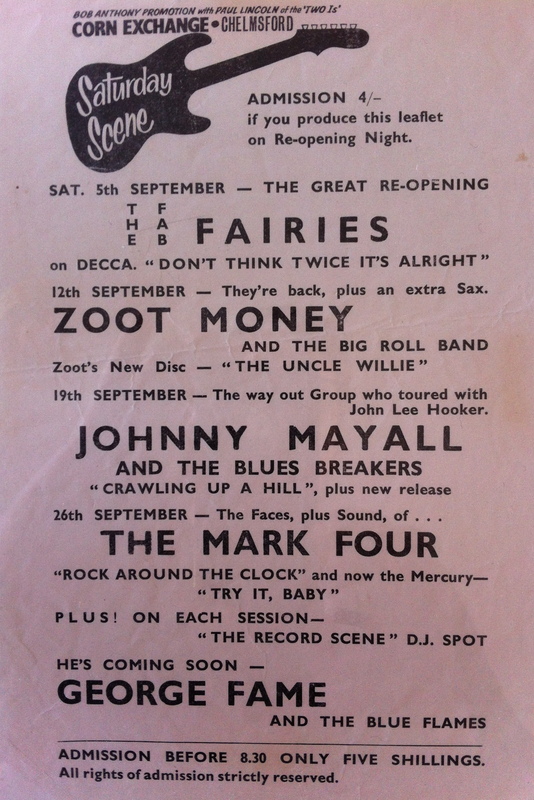 I first saw Mark Shelley and the Deans in about 1963 playing at the YMCA. I remember listening to the rhythm of the guitars and the crash of the drums, as they played all the rock classics – Chuck Berry’s Sweet Little Sixteen and Nadine, the Isley Brothers’ Twist and Shout, and the Buddy Holly hits – That’ll Be the Day, Peggy Sue, and True Love Ways. I know the group have been brushing up on all the old favourites for next Saturday (I’ve even written to Brian Matthew on Sounds of the Sixties, Saturday mornings on Radio 2, asking for a request to be played next Saturday for my sister – who gave me the idea for one of the characters in the book – and all the old Chelmsford mods – but I’m not holding my breath!) and it will be like stepping back in time! You will think you really are back in the Corn Exchange. If you would like to come to the launch it would be great to see you. Contact me here. 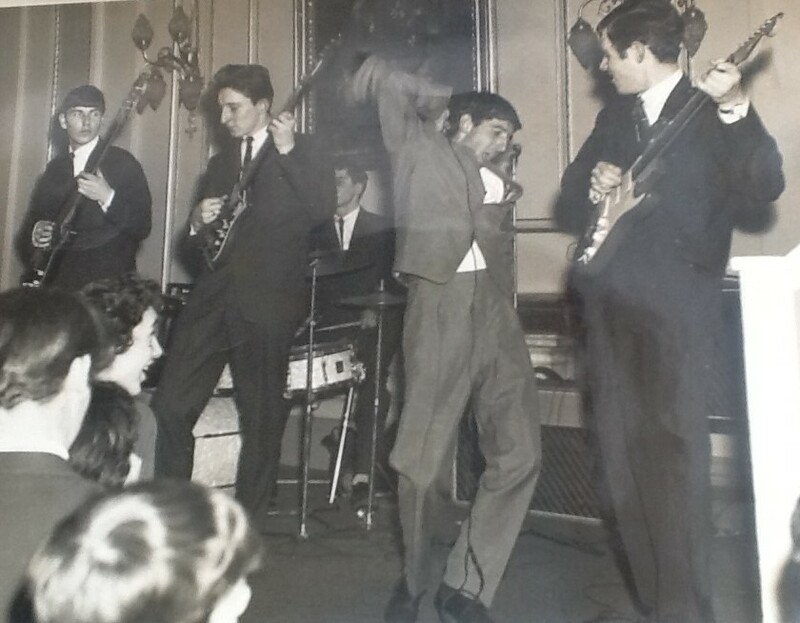 Georgie Fame often came to the Corn Exchange. If it had been in our power, we probably would have given him the freedom of the city. He had that anyway, really. 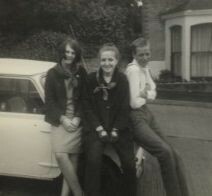 Sandra and I knew that after he’d played at the Corn Exchange he’d be hurtling down the A12 to get back to the West End, before all the Chelmsford mods had got it together to catch the last train to Liverpool Street to see him again at the Flamingo. Sandra and I had to catch the last bus to Skerry Rise. It wasn’t the same. Some times we’d try out dance steps, walking up the road. Here he’s talking about those days to Jamie Cullum.